There stands in Acadiana a restaurant singularly famous for hot plates and po boys: Bon Creole Lunch Counter in New Iberia. Founder Randy Montegut turned the key on a crawfish processing plant in 1982 that would eventually morph into one of the great cafes of Louisiana. Yesterday at Festival Acadiens et Creole there stood Bon Creole on a hot patch of grass flanked by gator on a stick joints, and just around the corner from a quirky gelato shop selling a mayhaw-flavored confection that had never been seen by anyone in our crew. After a walk-through where we carefully weighed each vendor’s menu we returned to visit the queen. Time for a po boy. 20 good-sized Louisiana shrimps have been battered and fried hot and fast in clean oil before being crammed into a remoulade slathered loaf of French bread. A fat dollop of chopique is left to fantasy. These are the ne plus ultra of fried shrimp in our great state. Unfortunately the bread has not been well-tended to and suffers from staleness-induced malaise, a trait we’ve never run into on our visits to Bon Creole’s proper restaurant. 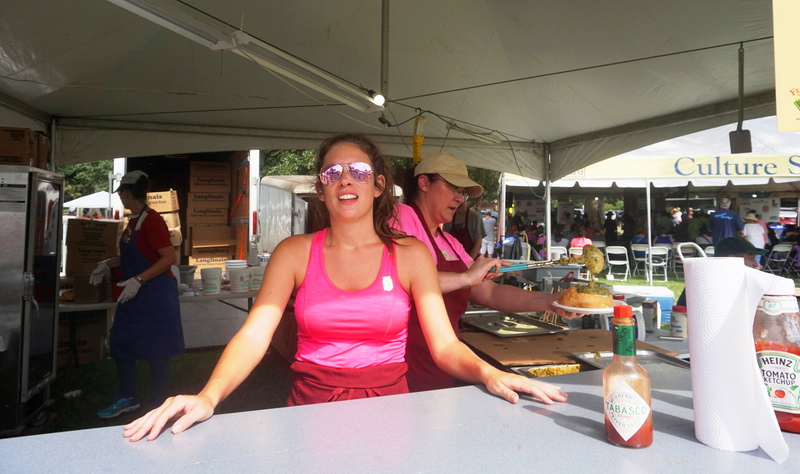 Festival Acadiens is one of the best parties Louisiana throws all year long. Nobody in US knows how to party like the Cajuns. 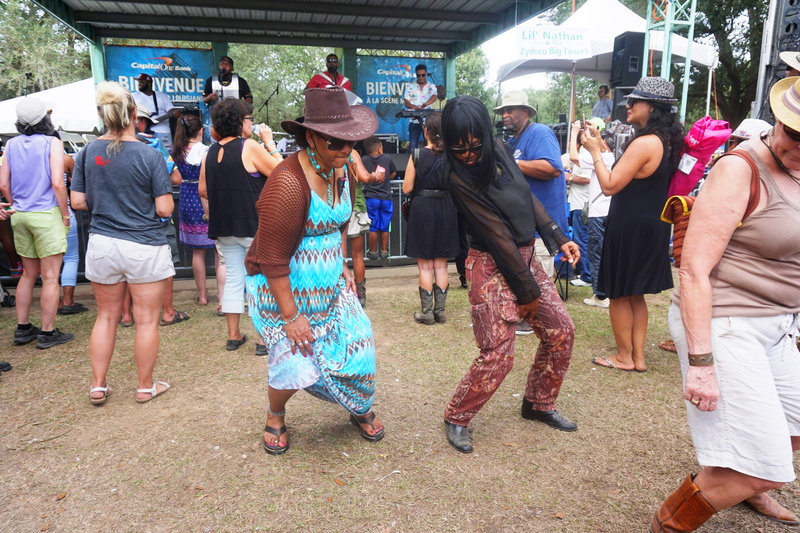 All they seemingly want to do is eat boudin, drink cold beer and dance to bands like Cedric Watson and Bijou Creole or some piped in Harry Choates. Maybe throw a punch or two if the mood is just right. 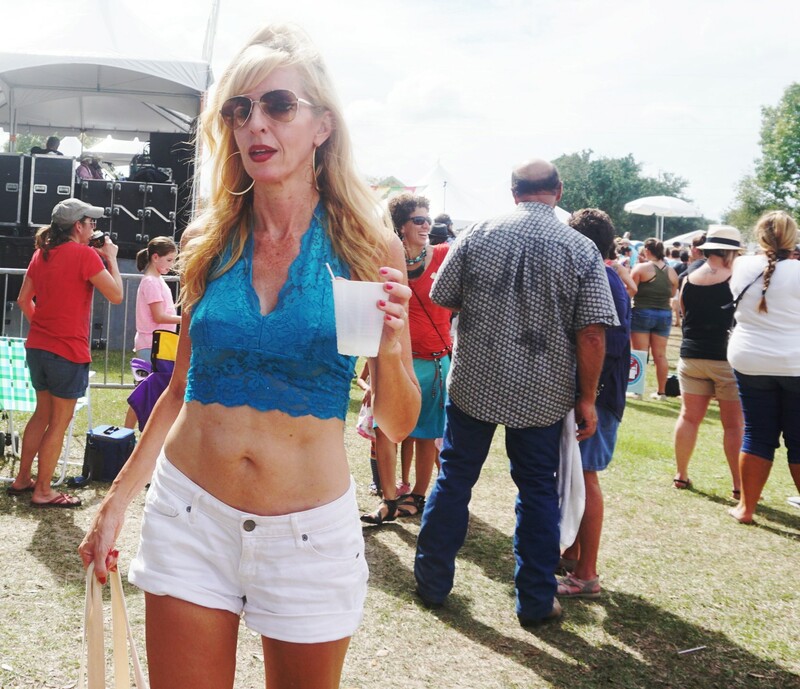 The crowd runs the gamut from young boulevardiers to prowling cougars to the family sort that always turn up with sunburned toddlers riding Radio Flyer wagons. 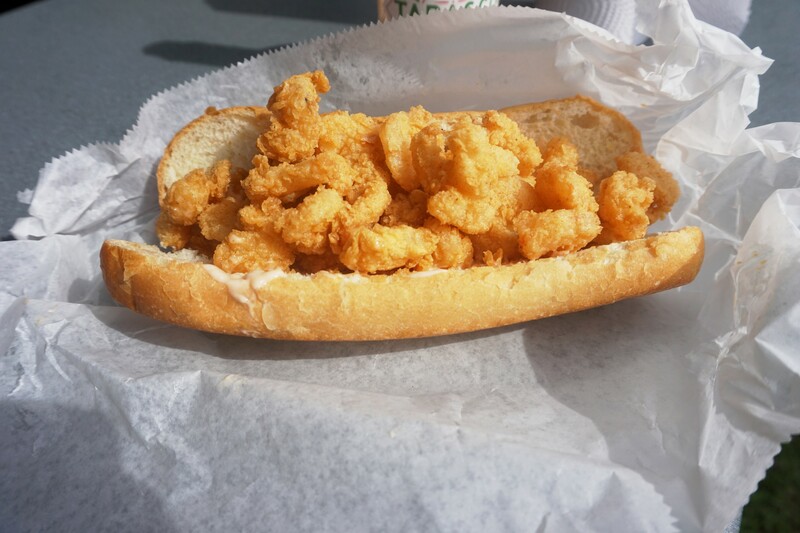 On this day our 500 po boy series carried us through Jefferson, St Charles, St John The Baptist, Iberville, St Martin, Lafayette, Acadia, Vermillion, Iberia, St Mary, and Terrebonne Parishes. We’ll be filing more reports over the coming weeks.